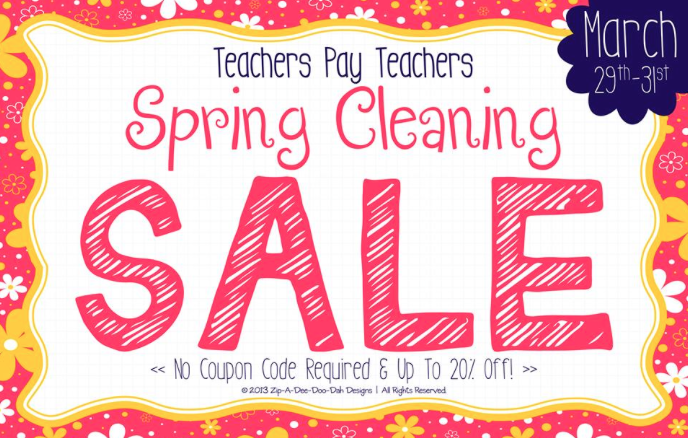 Spring Cleaning Sale this weekend! Go get all of your favorites for up to 20% off! Everything in my store is on SALE! Time for me to go shop the sales! Informational text is a difficult area for our students. No matter who the teacher is...no matter which state they live in...informational text is a tough concept for elementary students. 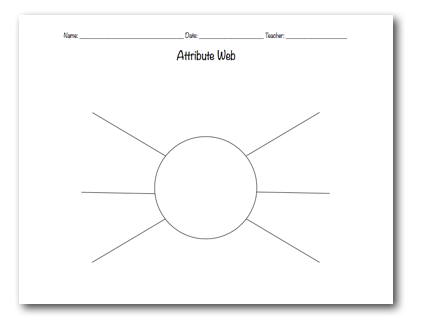 We all use graphic organizers - whether it be the simple "web" or a Venn diagram, I am sure you would all raise your hand if I were to ask who has used one or more in their classroom. 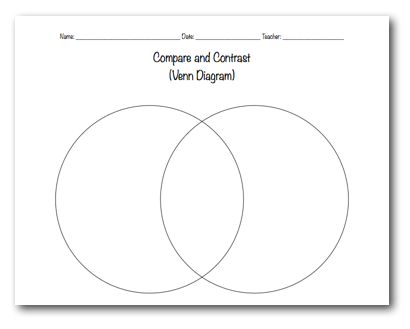 However, have we really ever taught the difference between the graphic organizers? Or have we explained how they can be used to a benefit our ability to dissect informational text? 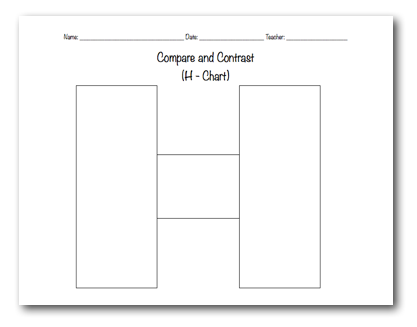 If you follow along with this blog post, I will go through an entire reading lesson that will dive deep into graphic organizers and their uses for ANY text (not just informational). 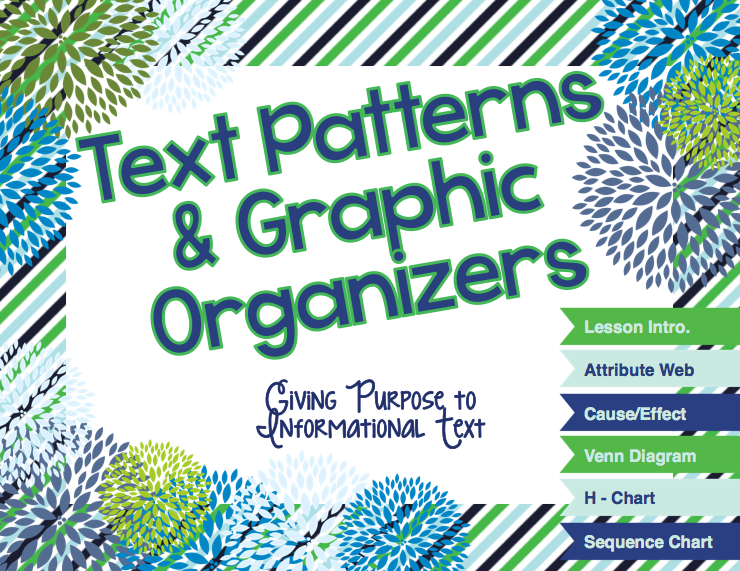 Text patterns help students become more comfortable with the ways informational text is presented to them...which is not always the simplest way. They will also help create scaffold (the graphic organizers) to assist students in organizing the information they are reading - in a MEANINGFUL way! 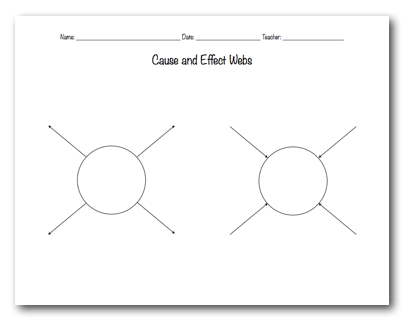 Last, the lead to "framed paragraphs" which is a strategy I will touch on later that helps students recall what they learned from a specific piece of text. These text patterns can be used to give meaning/purpose to the text. 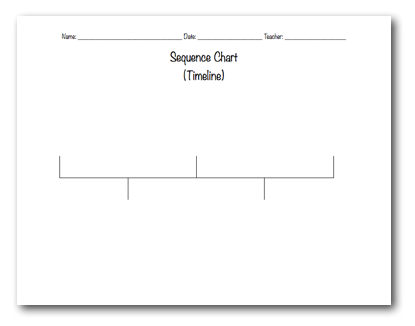 My favorite way to use them is to have them act as an active reading strategy - having students organize their information into their graphic organizer while reading or after reading makes them a more active reader. They also develop your students into a worker - forcing them to gather important information while they are reading. 3 - help make information text less confusing and "wordy"
I sometimes like to give my students the option of using the H Chart. We use this when we don't have enough room to write in the circles of a Venn Diagram. Each side is a topic, and the middle (horizontal section) is the "both" area. 3. What might have caused the author to ..... ? 4. What was the sequence of events that led to .... ? I love love love this lesson and it has proven useful for me time and time again. I have done many different lessons that later stem from this lesson, as well. This is only the start to your students fully understanding information text. It also allows them to see the importance of having a purpose when we are reading and taking notes...otherwise, why take notes? students will not retain it. It is that time of year...that stretch between Winter break and Spring break! We are all tired and probably have not felt like putting any time into classroom decor. We might be sick of how our desk looks at this point in the year...so it is TIME for a GIVEAWAY! I got this amazingggg digital print from Meghan at Life with Peanut, an awesome new mommy who creates sooo many cute prints! She customizes everything and anything! Favorite song lyric? Wedding song? Poem? Quotes? Anything you'd like! She is especially awesome at baby nursery decor! I am SO in love with how my desk looks now! 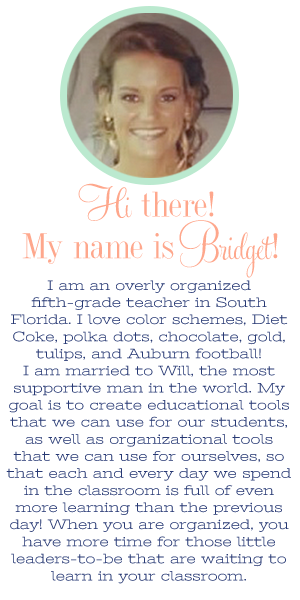 What was super awesome was that Meghan will match the colors of the letters on your digital print to whatever color scheme you use in your classroom! Check out this particular print by clicking on the image, or clicking here, to view it on Etsy! I am super-duper in love with how she perfectly matched my teacher binder! Time for you to win your very own digital print of this quote in YOUR classroom color scheme! Enter in the rafflecopter below to win your very own digital print of this quote to match your class! So exciting!! Maybe you picture this on your desk at home? On your wall? On your desk at school? Maybe you want to give it as a gift!? There are so many different things you can do if you win! The more points you earn by doing the little things you see in the rafflecopter, the better your chances are to win!